The .org could correct the cert problem or the link could just be http which works. I also observed this since yesterday and briefly mentioned it on the IRC channel. Not sure if it is somehow related to me using the HTTPS Everywhere extension. 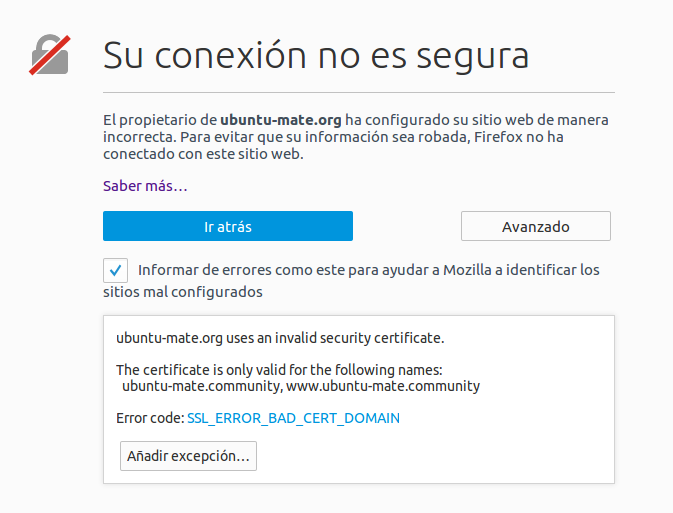 The cert for ubuntu-mate.org is fixed/working now. Same authority, different cert from that of ubuntu-mate.community. Uh oh. Looks like it’s problematic again! I’ll get @Wimpy on the case! I experienced this problem too. Even worst is that the browser has been caching https://ubuntu-mate.org and redirecting to https://ubuntu-mate.community. Testing another browser proved that. 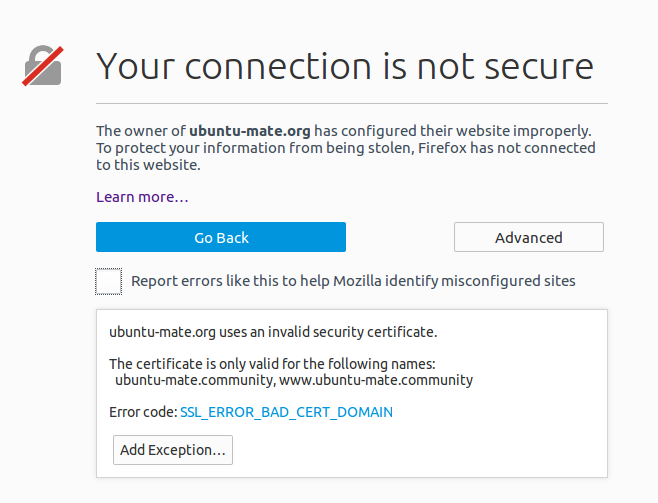 enter by hand “www.ubuntu.com”, navigate to Downloads, Ubuntu flavours, click on ubuntu.mate link gives a page saying invalid certificate. as with Firefox… but the webpage loads corretly each time, with graphic elements, as you would expect. As far as I’m concerned all is now working as expected, without “certificate” problems. Thank you to the team.